I've installed a small strip of wood to form an inner frame that will hold the clear plastic and print. 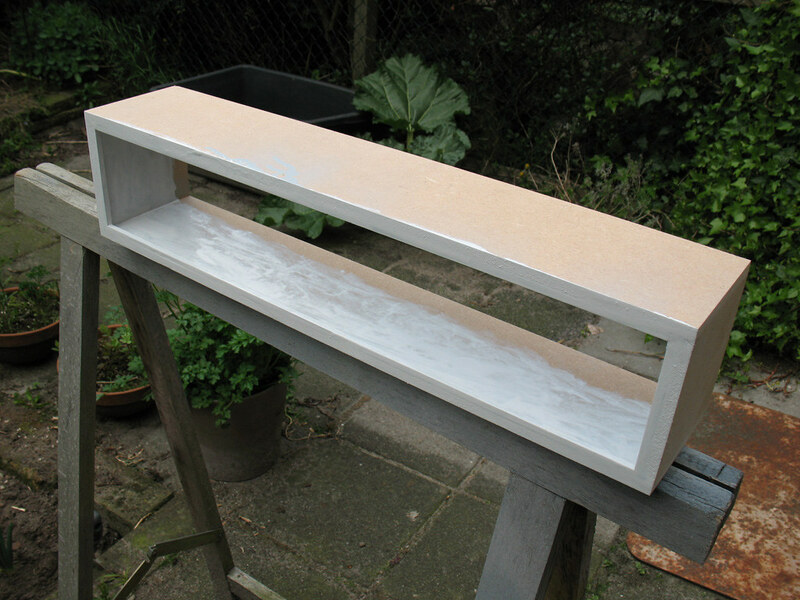 Put primer on it which will allow me to see if I need to sand the front some more to make the strip and box flush. In the meantime I am glueing pieces of wood on the backside which is a piece that will hold the electronics and lights. The pieces of wood will allow me to screw the lights down to the back. So next time I will probably have the lights mounted on the back, after which I can drill holes for ventilation and hanging.